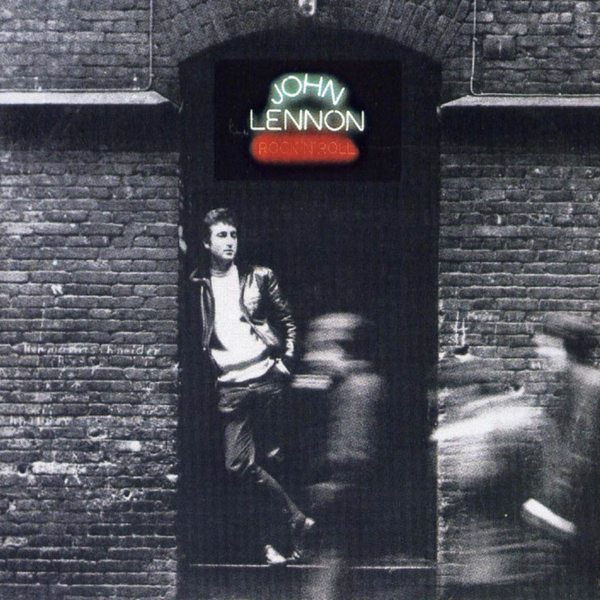 On February 21, 1975, John Lennon released an album of late 1950’s and early 1960’s covers called “Rock ‘n’ Roll“. 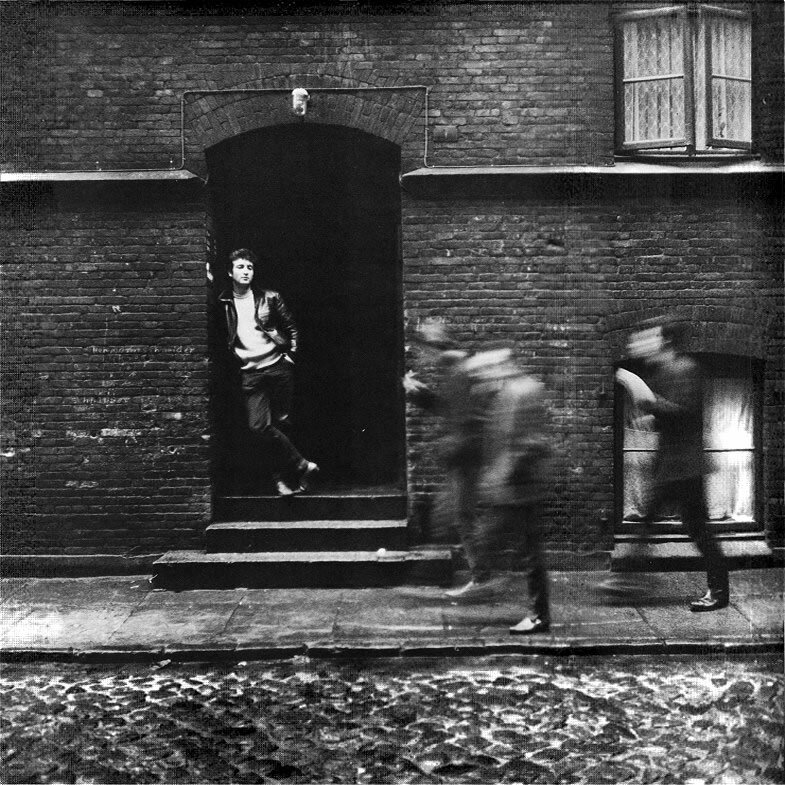 The album cover features a 1961 photo of Lennon in a doorway in Hamburg, Germany with three blurry figures walking past him in the foreground. 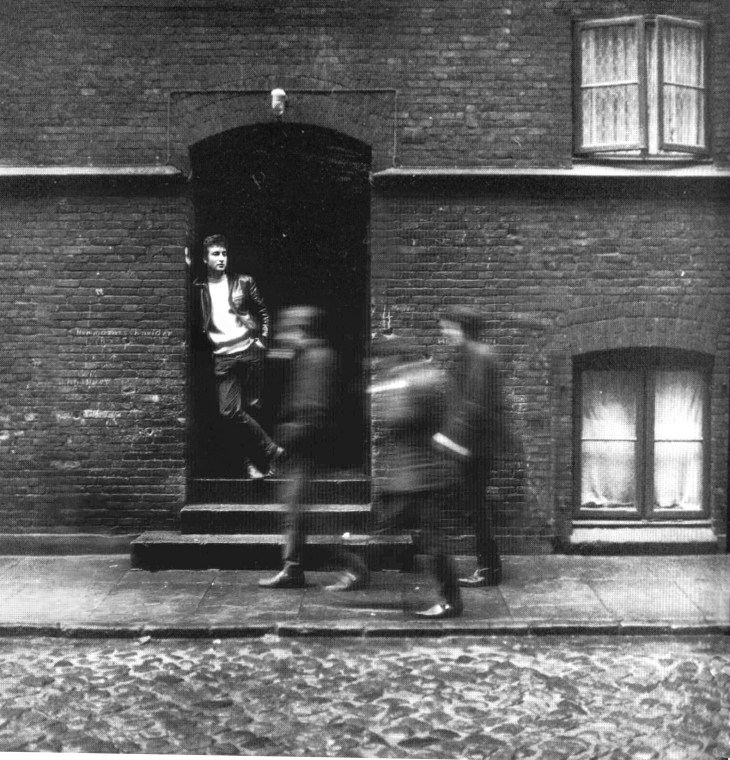 Those figures are Paul McCartney, George Harrison and Stu Sutcliffe. The Beatles drummer at the time Pete Best chose to not come along. I can’t really tell for sure who is who but the order from left to right seems to be Harrison, Sutcliffe and McCartney. 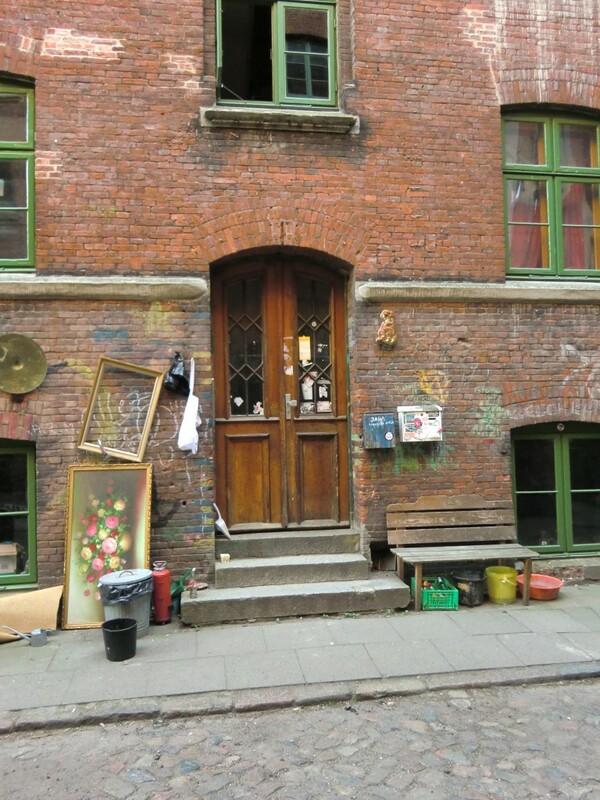 The address location is Wohlwillstraße 22 D-20359 Hamburg, Germany, in St. Pauli. If not for the John Lennon factor, it’s basically an ordinary, worn wooden door in an unassuming brick building. According to Wikipedia, John Lennon's "Rock n' Roll" album was released in early 1975 (Feb 21, 1975). That would mean this album was primarily recorded during John's separation from Yoko and his self-imposed exile to L.A., during which time he had a brief contact with Paul and Linda indeed. They even jammed together sometimes during that period of time. I think the Animosity part was gone by then – or mostly gone. And I think it was during this I believe (in early 1975) that John signed the dissolution of The Beatles' Partnership agreement as well.